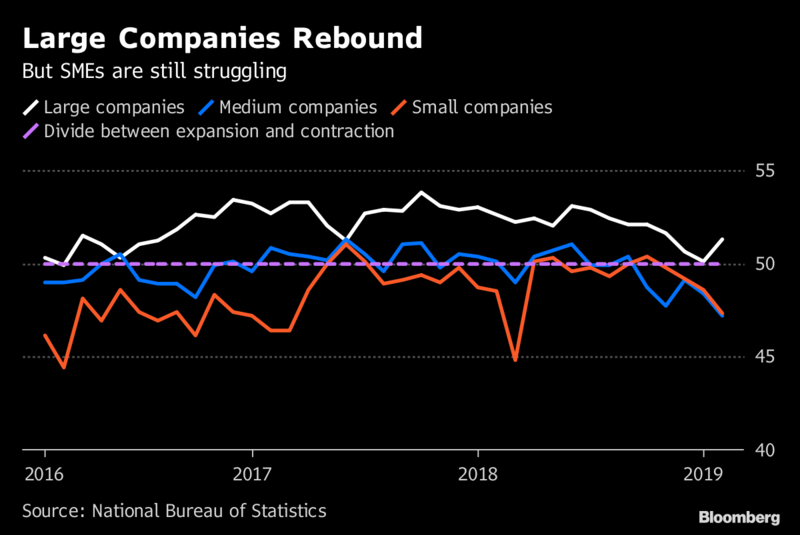 The first official gauge of China’s economy in 2019 showed a slowdown in the manufacturing sector eased off a little in January, though uncertainty over the future of trade with the U.S. remains a headwind. The data will offer some comfort to policy makers who’ve been rolling out targeted stimulus measures since last year in a bit to control the slowdown as trade officials face off with their U.S. counterparts in Washington this week. It wasn’t all good news though: things got tougher for smaller manufacturers and employment conditions worsened. January’s data should be read with reference to the approaching Spring Festival holiday, which falls in early February and likely caused manufacturers to bring some production forward ahead of the closure. As such, the slight relief may be temporary, according to Nie Wen, an economist at Huabao Trust Ltd. in Shanghai. 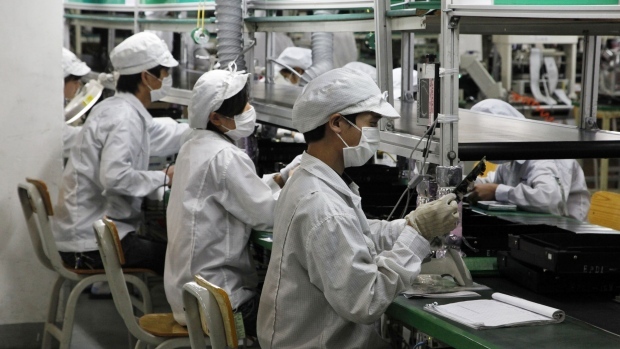 Growth of China’s US$13 trillion economy is expected to slow to around 6.2 per cent this year, a sharp drop from 2018’s pace, which was already the weakest since 1990. Confidence has been hit as credit tightened last year in the course of a government financial cleanup and as U.S. President Donald Trump hit the nation with higher tariffs on its exports. Chinese and U.S. officials meet in Washington this week for what the White House describes as " very, very important" talks. The current truce ends in early March, and the uncertainty about trade policy after that may also be weighing on export demand. Also of concern to policy makers will be signs of pressure in the job market. The employment sub-gauge in the report deteriorated to 47.8 and has been below the 50 mark for the past 22 months.